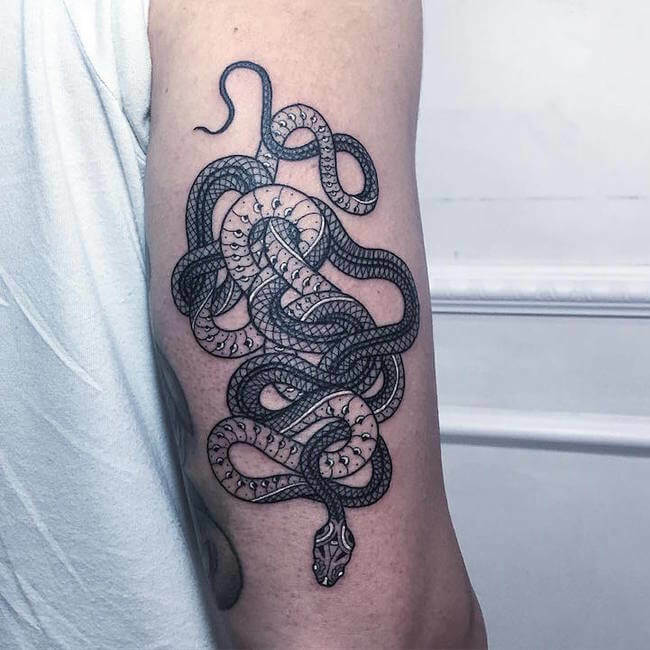 Tattoo artist Mirko Sata has a distinctive style that features a creature that is both loved and hated throughout the world, the snake. 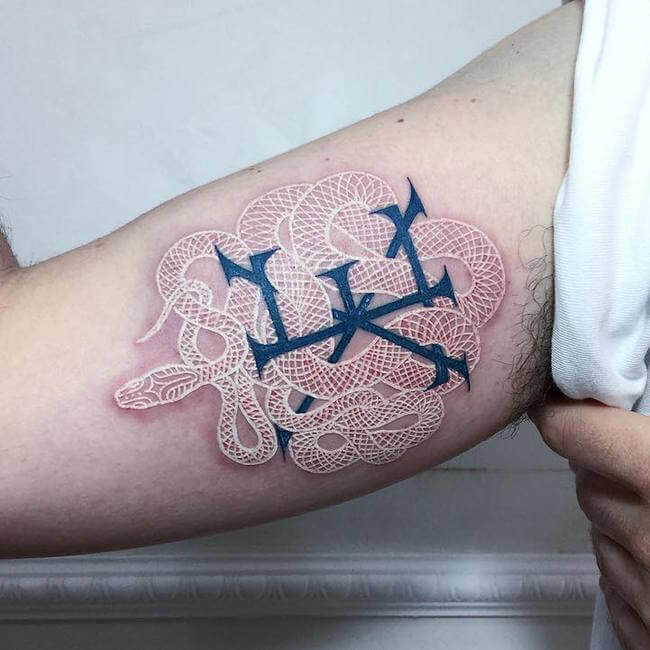 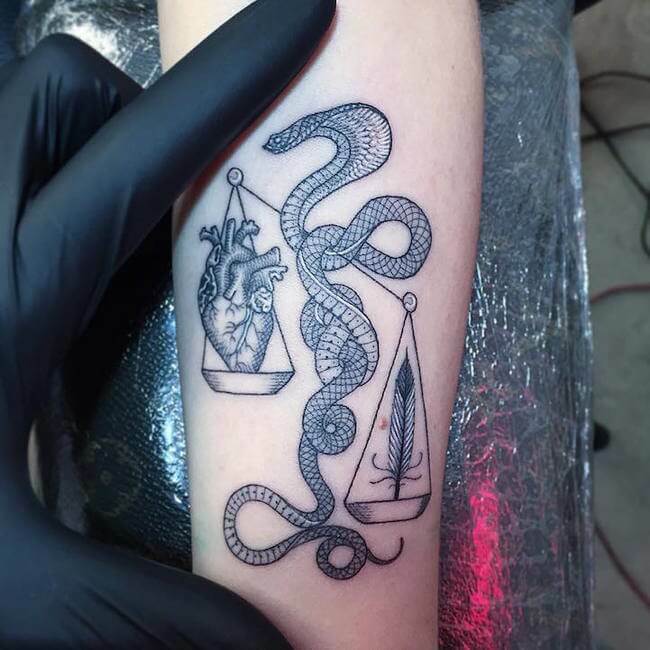 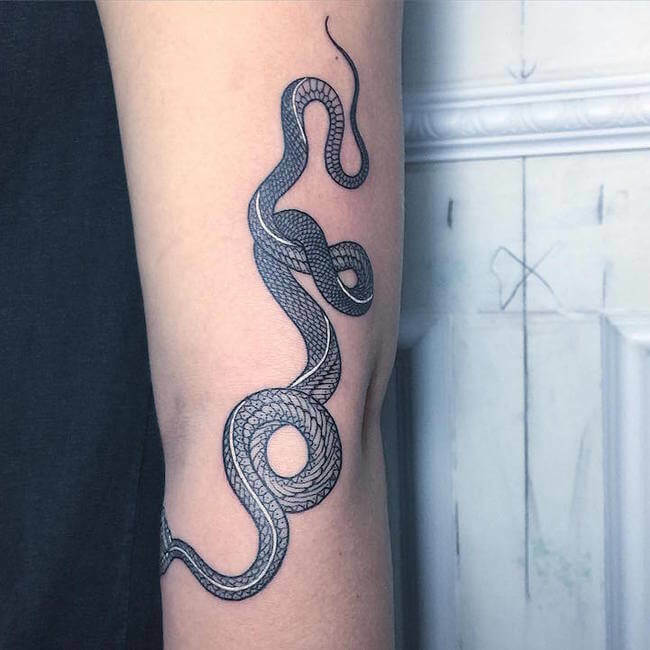 Sata inks his intricately intertwined designs of black and white tattoos in shapes of snakes with amazing accuracy. 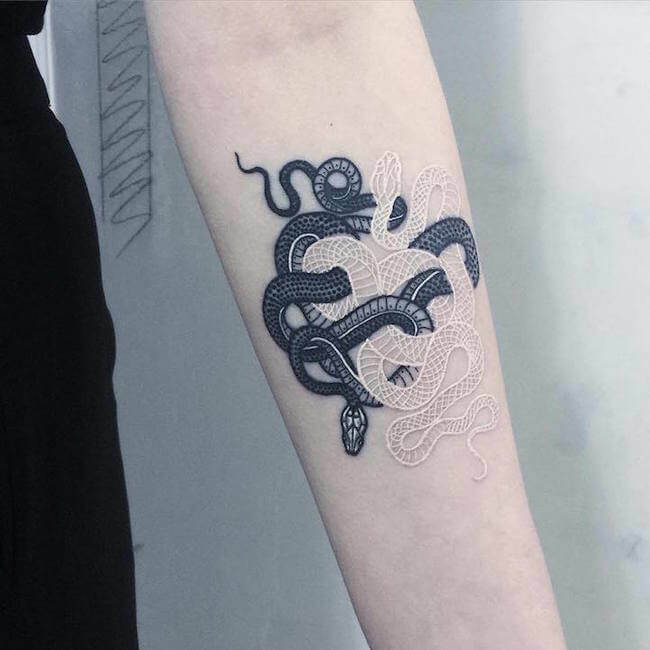 The tattooed serpents bend and twist in an intricate dance of texture and dimension. 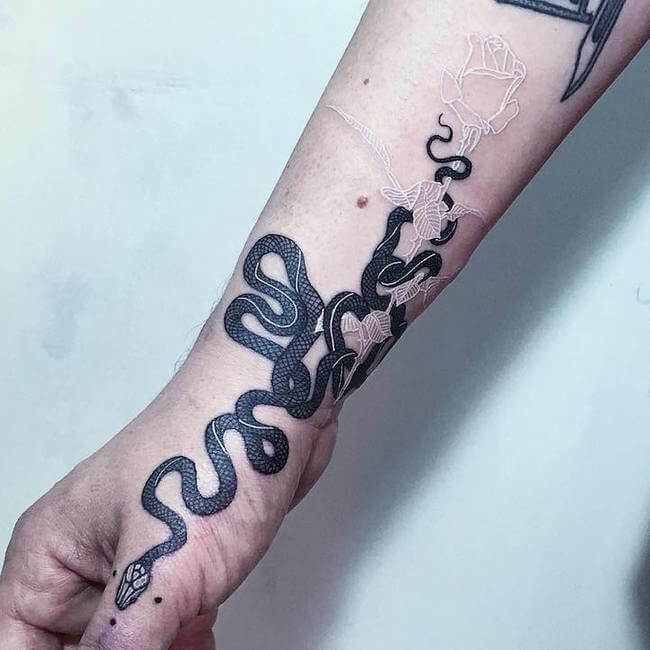 Sata’s uses an interesting combination of black and white inks that allow him to bring out all the contrast and dimension possible in each piece. 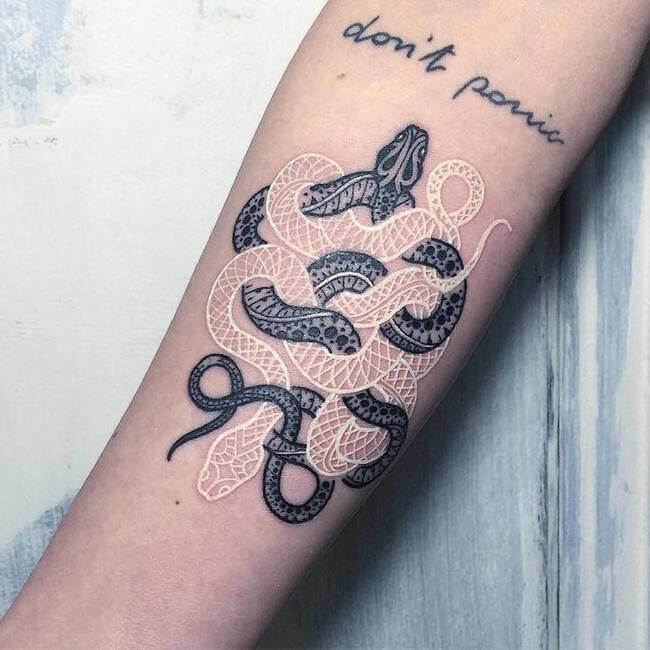 the white ink almost appears to glimmer and sparkle, while the black pigments define depth, lines, and a stark realism. 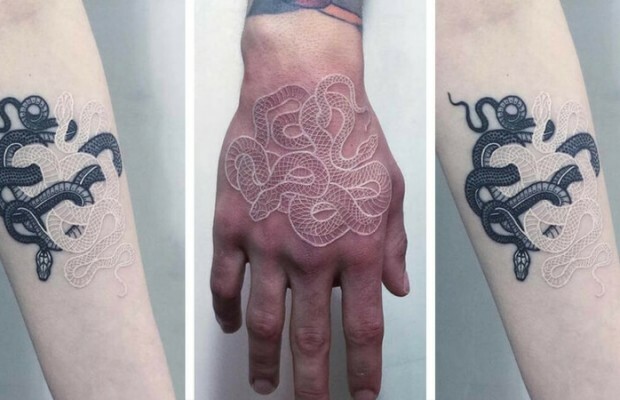 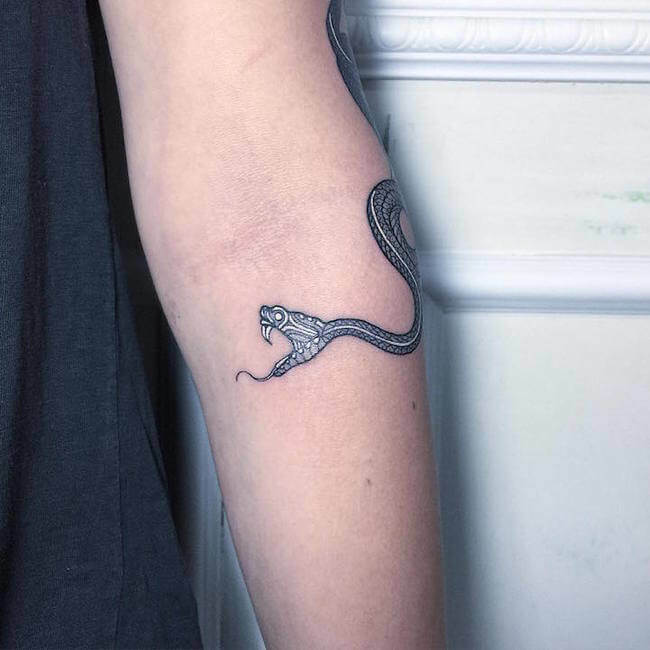 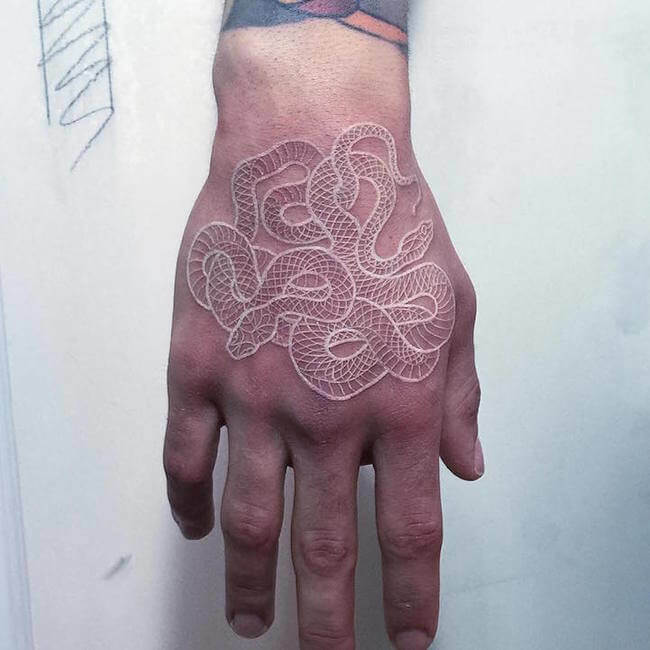 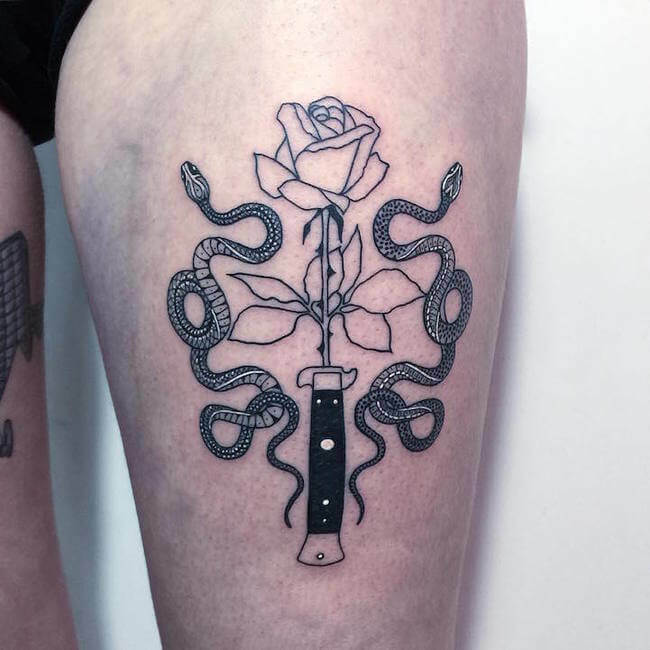 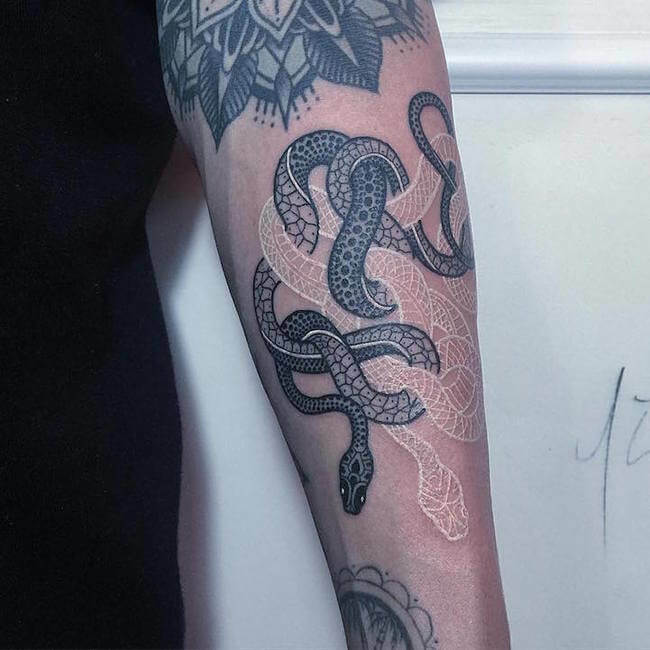 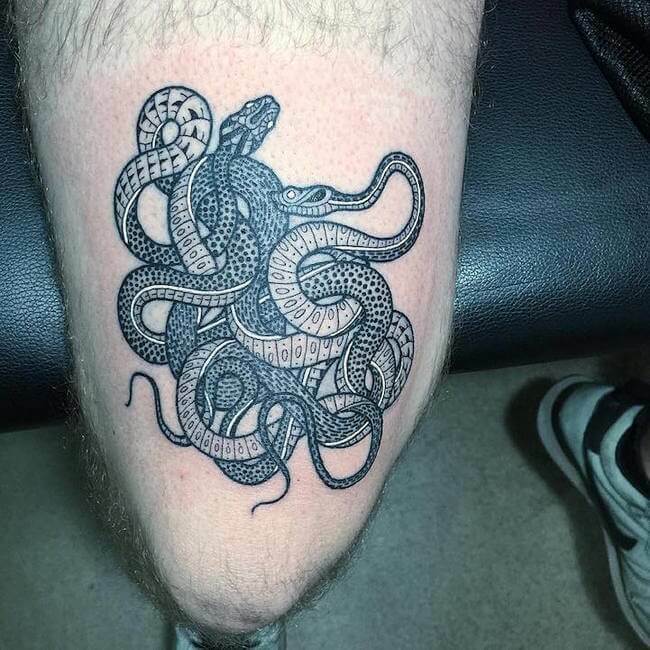 If you are a fan of the Snake or a black and white tattoos fan, you can only get this custom slithering body art by visiting Satatttvision in Milan, the only shop where Sata works his magic. 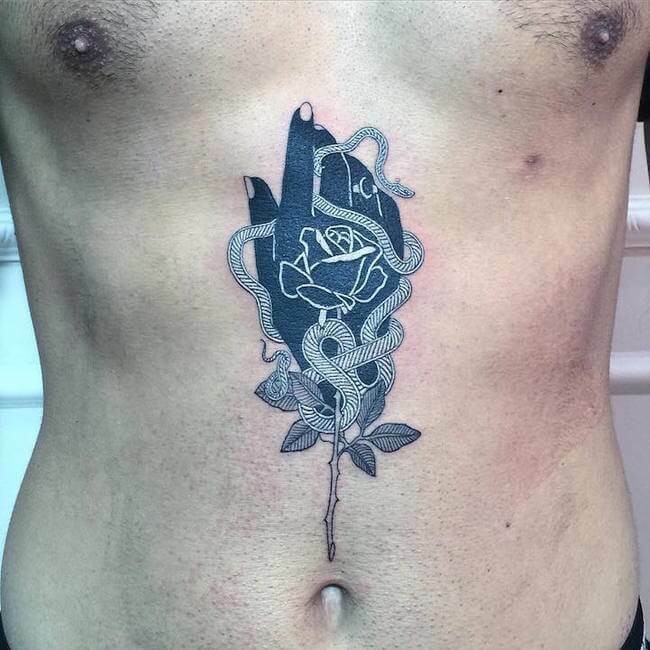 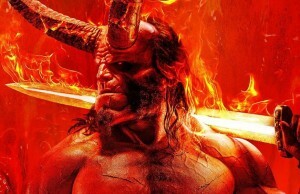 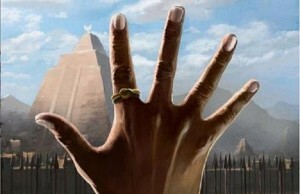 Fans of his art can still sit back and enjoy his amazing work by viewing his Instagram page. 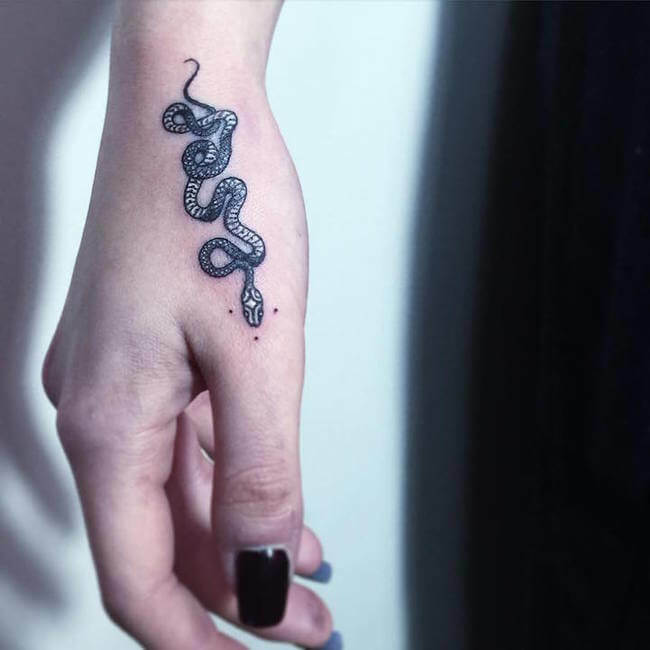 Almost look a little bit like an eygiptian tattoo don’t you think?